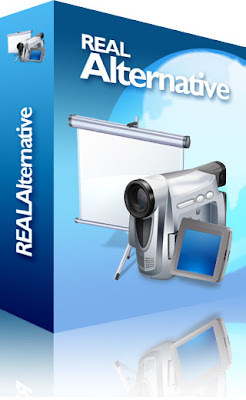 Real Alternative will allow you to play RealMedia files without having to install the official RealPlayer. You do need a media player that is capable of playing RealMedia files. The included Media Player Classic supports it. Supported are RealAudio (.ra .rpm), RealVideo (.rm .ram .rmvb), RealText (.rt), and ReadPix (.rp). Not fully supported are: Streaming smil files (.smi .smil) and Realmedia embedded in webpages.